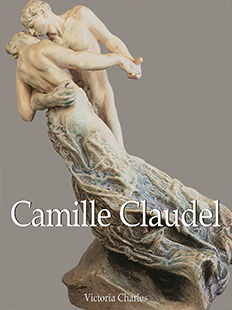 Delve into the exquisite, sensuous sculpture of Camille Claudel with this in-depth look at her remarkable body of work. Along with many of her paintings and drawings, her sculpture is examined with a focus which reveals every intricate detail of her incredible renditions of movement and human emotions. Fascinated from a young age by crafting models with her hands, French sculptor, painter, and draughtswoman Camille Claudel (1864-1943) fought to overcome the hurdles placed in the way of female artists and carved a place for herself in the history of art. Following an apprenticeship with Alfred Boucher, Claudel entered the studio of Auguste Rodin, with whom she had a tumultuous ten-year love affair which often threatened to eclipse her art. The two artists had a profound impact on one another, each of their features appearing in the other’s work. After breaking off the relationship to forge her own path, Claudel created a stunning, incredibly modern oeuvre. Though many were destroyed by her own hands, those that remain are a powerful testament to her artistic genius.